Canadian beekeepers have filed a class-action lawsuit against two pesticide manufacturers, seeking $400 million in damages for the devastating effects of the neonicotinoid pesticides that have been linked to the destruction of honeybee colonies. “The goal is to stop the use of the neonicotinoids to stop the harm to the bees and the beekeepers,” said Paula Lombardi, a lawyer with Siskinds LLP, the law firm that is handling the case. The lawsuit was filed in the Ontario Superior Court on September 2 by two of the largest honey producers in Ontario, Sun Parlor Honey Ltd. and Munro Honey. The next day, the Ontario Beekeepers Association publicly announced the lawsuit and invited other beekeepers to join in. By September 4, more than 30 beekeepers had already signed on. The neonicotinoids, which include imidacloprid, clothianidin and thiamethoxam, are systemic pesticides applied to seeds prior to planting. The neurotoxic chemicals then coats the plant, making the entire thing poisonous. This means that birds or insects that visit the plant for nectar or pollen are also poisoned. “The plants become poison not only for the insects that farmers are targeting, but also for beneficial insects like bees,” said Jennifer Sass, a senior scientist with the Natural Resources Defense Council. Numerous studies have shown that bees exposed to neonicotinoids experience trouble navigating, are more likely to fail to return to their hives, and have smaller colonies than non-exposed bees. In a 2013 study by Health Canada, 70 percent of all dead bees tested positive for exposure to neonicotinoids. In response to these concerns, the European Commission has restricted the use of neonicotinoids for two years, and Ontario has announced plans to regulate them more tightly. In the lawsuit, the beekeepers accuse Bayer CropScience Inc., Syngenta Canada Inc. and their parent companies of negligence in the design, manufacture, sale and distribution of the pesticides. The lawsuit claims that the negligent behavior of the companies has directly resulted in damage or death to bee colonies and breeding stock; contamination of beeswax, honeycomb and beehives; decreases in honey production; lost profit; and increased labor and supply costs. The plaintiffs are seeking $400 million in damages. Over the past 20 years, neonicotinoids have become among the most popular of all pesticide varieties. In recent years, researchers have raised concerns that they may be a primary factor behind colony collapse disorder (CCD), a phenomenon marked by honeybees abandoning their hives and dying during the winter. Because honeybees pollinate a third of the entire global food supply — 130 different crops, valued at $15 billion per year — CCD has caused alarm at high levels of government and industry. A pair of studies conducted by researchers from the Harvard School of Public Health and the Worcester County Beekeepers Association decisively linked neonicotinoids to CCD. 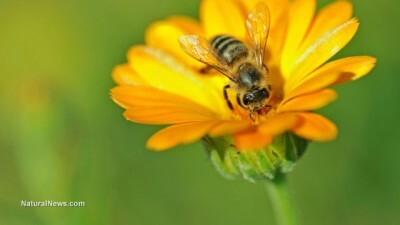 The researchers found that exposing bees to neonicotinoids induced CCD in the majority of beehives over the winter, while non-exposed bees did not experience CCD. The researchers suggested that, in part, neonicotinoids may cause CCD by making bees more vulnerable to cold. But it’s not just honeybees that are affected by neonicotinoid poisoning; because the pesticides are systemic, any animal that even visits a treated crop may be affected. According to a comprehensive international review published in June 2014, neonicotinoids are severely damaging ecological integrity worldwide, on a scale comparable to the damage done by DDT prior to the 1970s. Shockingly, there is no evidence that neonicotinoids are even particularly beneficial for farmers.